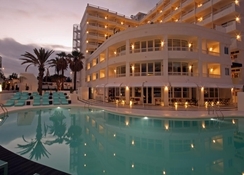 Centrally situated in Playa del Ingles, Gran Canaria, the Gold by Marina is an adults-only hotel. Here you submerge yourself in an oasis of peace, recreation and fun. This marvellous 4-star hotel enjoys a prime location and is home to a collection of bars, restaurants and shops. Indulge yourself at the hotel’s two outdoor swimming pools with sun loungers, solarium area, a fully-fledged fitness centre, Jacuzzi, opulent spa and excursions to explore Gran Canarias’ hiking trails and sighting of cetaceans. At Gold by Marina, the guestrooms are specifically designed for couples, families and group of friends. 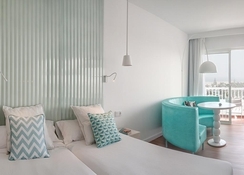 Each room comes with contemporary interiors, making your stay here even more memorable. The hotel features two exceptional restaurants that serve breakfast, lunch and dinner. The hotel serves delicious breakfast at ‘Pool Style’ until noon. The ‘La Palmera Sur’ severs up scrumptious Canarian dishes. 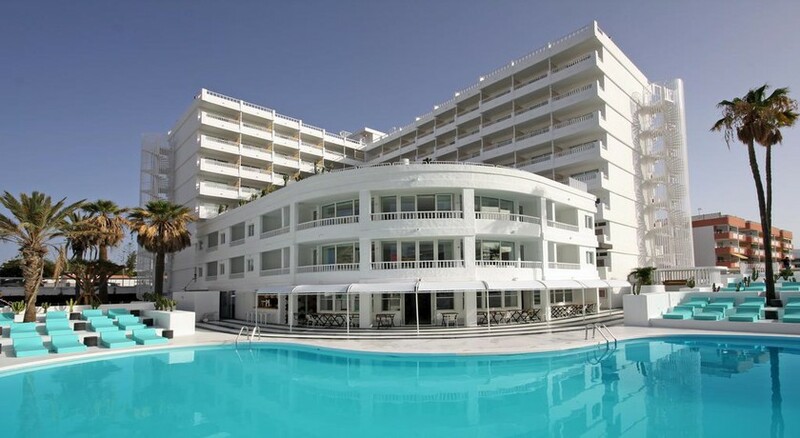 The Gold by Marina is conveniently situated in the heart of Playa del Ingles, Gran Canaria. The beautiful beach of Playa Ingles is only a few hundred metres from the property. Due to its central location, the hotel enjoys proximity to several dining, drinking and shopping options. The El Berriel Aeroc Airport is 13km, while the Gran Canaria Airport is about 33km from the hotel. All the guestrooms at the Gold by Marina are uniquely designed interiors and offer a terrace with direct access to the pool. They fall in seven categories namely With Balcony, With Terrace, South Balcony, Superior With Balcony, Junior Suite, Junior Superior Suite and Master Suite. 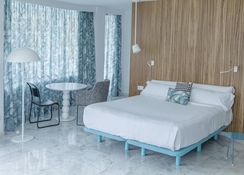 The massive guestrooms are distributed in a double bed living room, a massive bathroom with a bathtub and shower, private balcony and a kitchen. They comprise all the necessary amenities, including air conditioner, safe (extra charges), smoke detector, fridge, hair dryer, wake up service, bath set, telephone, TV and Wi-Fi. The hotel houses two restaurants to satisfy the taste buds of all kinds of guests. ‘Pool Style’ lets you have breakfast until Noon and mouth-watering a la carte dishes in the afternoon. The ‘La Palmera Sur’ is the right place to enjoy lip-smacking Canarian delicacies on the terrace in a cosy atmosphere. Additionally, you can explore international cuisine at Ristorante 2 Gusto that serves, European, Italian and Mediterranean delicacies – this restaurant is a few metres from the property. At Gold by Marina, you can take advantage of plenty of sports, entertainment and leisure facilities. The hotel houses two massive swimming pools fitted with sun loungers. Those who want to maintain their fitness level can hit the state-of-the-art gym with expert trainers. The Gold Wellness cottage in the hotel will let you and yours avail full chocolate duo massage, body peeling, facial mask, beauty infusion treatment-plus manicure and pedicure. Or get your body refreshed and cleaned with a steam bath and hot air in the sauna. Bask up the Gran Canarian sun in the solarium. Take advantage of the car rental service provided by the hotel, which will let you discover the area at your own pace. Other than this, the hotel also provides exhilarating excursions for various sight-seeing and places of interest. 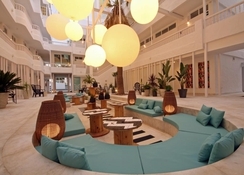 Stylish and welcoming hotel, staff couldn’t be more happy to help and clearly enjoy being part of gold. The features such as the app and events list are great ideas and we enjoyed every part of our stay.